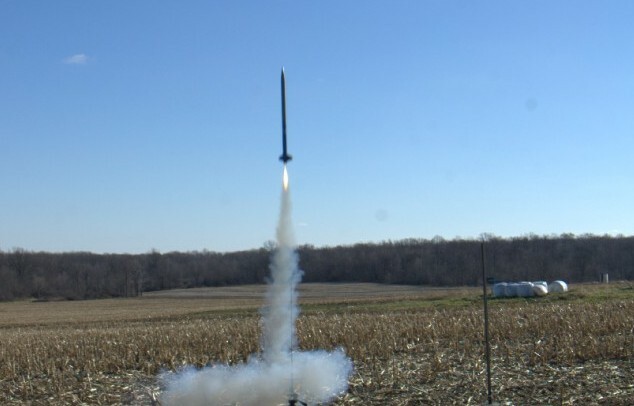 One of my goals from the very “re-start” of my rocketry hobby in 2009 has been to develop functional rocket designs that allow for more advanced uses of Model Rocketry. From the start, my designs centered around a booster section, and a payload section. Most of my focus in 2010 / 2011 has been around the booster section. The only “payload” in use to date (outside of the X2 Artemis flights) has been the recovery parachute. The design concept of my rockets involves the booster section being separate from the upper payload, or “airship” section. The payload section typically carries the payloads needed fulfill a particular mission. The original Artemis missions demonstrated this possibility, though the “payload” sections were conceptual boiler plates for the most part. 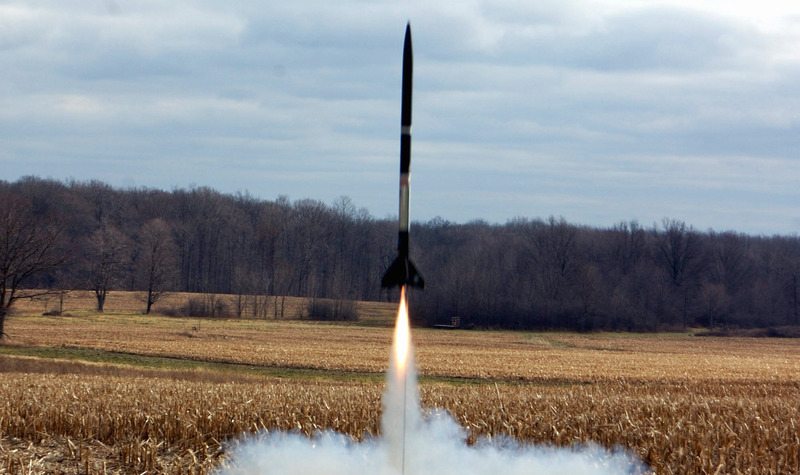 As 2010 wound down, the next booster design, X4 Perseus, was introduced, and the design was put to a series of test flights which lasted through 2011. 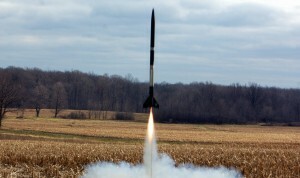 In late 2010, work began on a larger rocket — one designed to do functional experiments and fully exploit the modular design principles. 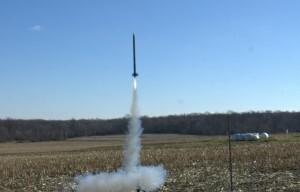 The Nesaru booster stack will use many new concepts in construction, recovery systems protection, new electronic control systems, and flight preparation. All of this built on data collected from Artemis and Perseus flight tests. A long-term project was needed to test these systems. To test these new ideas, I commissioned a new Artemis booster design. 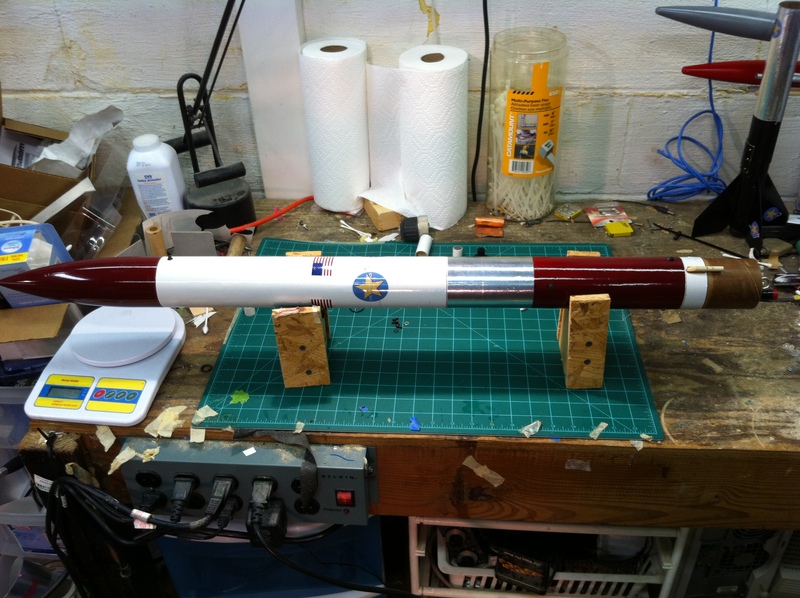 This allowed for the ability to fully test all the Nesaru concepts – only on a smaller scale! The newest Artemis booster, Pathfinder, was built from spare parts left over from when the earlier Artemis missions were fully active. The Adventure airship due to ride aboard the Nesaru X6 booster early 2012. The Artemis / Pathfinder is the first rocket stack in my fleet to have an official split Payload / Booster stage. The Nesaru X6 Booster section, which will carry the Adventure Airship to an altitude of around 2500 feet on the maiden voyage of the Adventure / Nesaru rocket. The X5 Aurora project brought things a bit further in this respect, but the fact remained that the individual rockets were really not very interchangeable. This was because their major goal in service was to fly as many missions under varying conditions to gather data points on aerodynamic performance and stability and lift capacity under these varying conditions. 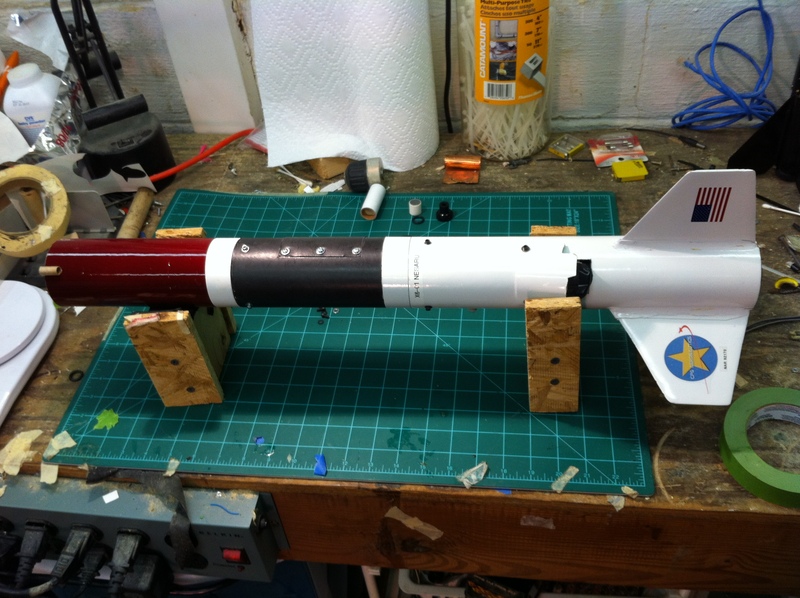 The Artemis design has the longest history in this regard, so I chose that design as the first step to a fully functional modular rocket. 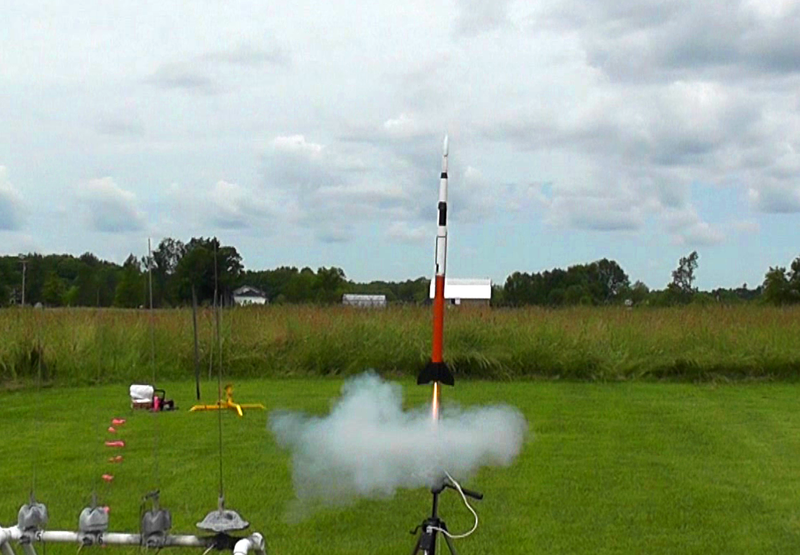 Artemis / Pathfinder lifting off on the Aerotech F-35 motor. 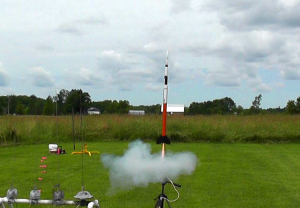 This is the first time any of my rockets have used this more powerful motor! The X6 Nesaru booster design is based on the X4 Perseus booster, so its flight characteristics should be similar. Later in 2012, the X7 booster should be ready, and its design is based on the Aurora X5 booster. The X7 booster will allow “Adventure” or other payload craft of similar design to carry heavier payloads into the air. 2012 is shaping up to be an interesting year!